If you are planning to go abroad for studies, to meet your relative, or to enjoy your vacation, but having a tough time getting passport and visa! No problems, we feel the pride to announce that we have a team that is well aware of all the formalities involved in procuring passports and visa. 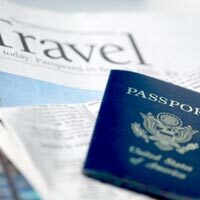 We will render our expert helping hand to get passport and visa at a meager fee.